How will Star Lotulelei's heart condition affect his draft stock? 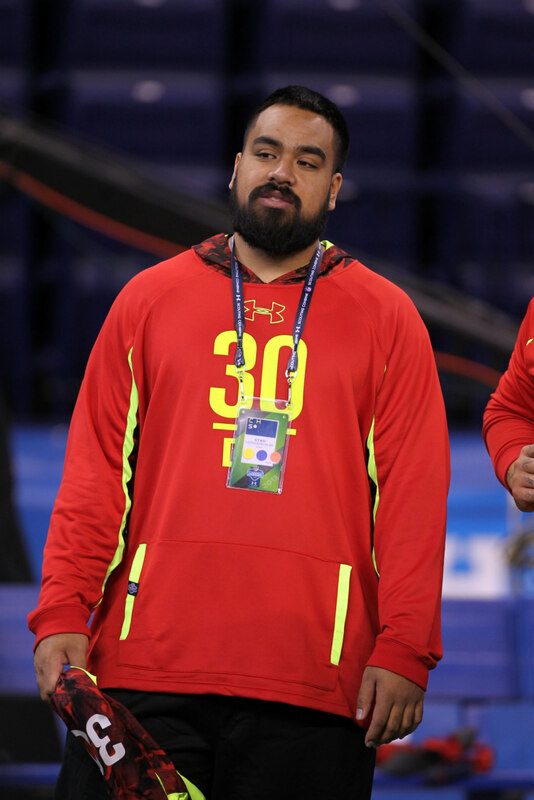 Utah defensive tackle Star Lotulelei arrived for the Combine one of the elite prospects in the draft and considered to be a top-five lock. He will leave Indianapolis with his draft status in some question after it was discovered during his physical that he has a left ventricle in his heart that it is pumping at only 44 percent efficiency, lower than the normal range of 55 to 70 percent. Lotulelei decided not to participate in workouts today and his agent said that he will see a specialist back in Utah this week. What does this unexpected development due to Lotulelei's draft stock? Could he see a sharp fall out of the top ten, if not the top five? It is possible that this heart irregularity is not a condition but rather a result of dehydration, lack of sodium in the diet or rapid weight loss, as is being hoped. Therefore, it is important to note that Lotulelei dropped ten pounds in a three day span before the Combine as a result of the hectic schedule before the Combine and the long days in Indy. This situation is also not that dissimilar to that of defensive end Frank Alexander last year, when it was feared that he may have had a hole in his heart by doctors at the Combine and through multiple tests and consultations with doctors, it turned out he was fine and he was selected in the fourth round last year. And the biggest test for Lotulelei will be his Pro Day in late March. That should show how well he can play and if there is any potential issues with his heart, as well as once we hear from a specialist on his heart situation. Therefore, I am inclined to think that it may be too early to speculate on Lotulelei falling in the draft as a result of this development. His tape is too good and he was considered a lock to be a high selection for a reason and therefore, it would take a lot for his draft status to sink. If it is discovered that he has a heart condition, then that is a different story but in the meantime, I still think that he is a top fifteen pick for now, and that also has to do with the lack of teams that need defensive tackles and great combines by Sharrif Floyd and Sheldon Richardson. No doubt some teams could be scared off, but until we know that there is something serious, or if it was just a freak occurrence as we saw with Alexander a year ago, it is hard to say that his stock will fall precipitously.